Because we are getting closer to Phoenix Comicon 2012, I thought I would post up some of my previous prop and costume builds from years past before I had a blog to post them on. Ill be doing one blog a day on a different prop or costume each day up until the con. Since I wont have a table there this year I though this would be a good way to show off some of my collection. First up, my first prop ever built. 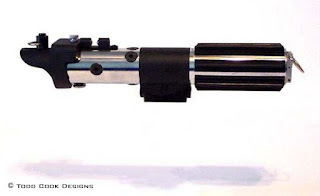 It is Darth Vader's lightsaber from Return of the Jedi. 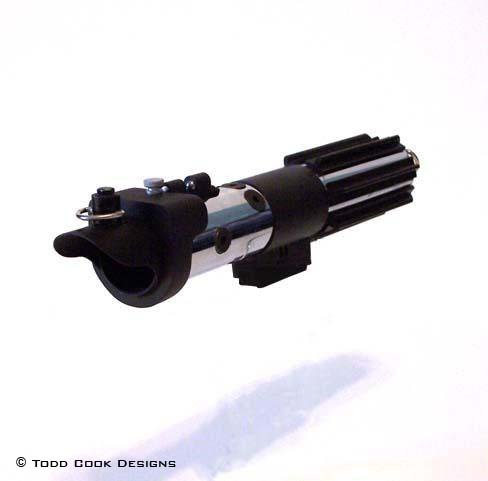 It is all hardware built from a sink tube,a trailer hitch cover used to make the hilt and many other random parts. This is about as accurate as you can get other than owning the real deal. And as it stands its the only Star Wars prop I have ever built.